What are your charity’s registration details? Do you rehome Spinoni from the UK? Dogs from the UK are already very well covered by the Italian Spinone Club of Great Britain’s excellent Rescue and Rehome service. Do you rehome to the US or Canada? Unfortunately it is impractical for both bureaucratic and financial reasons to rehome a dog across the Atlantic. The US has its own Spinone rescue organisation on Facebook. Why can’t these dogs be rehomed in their own country? 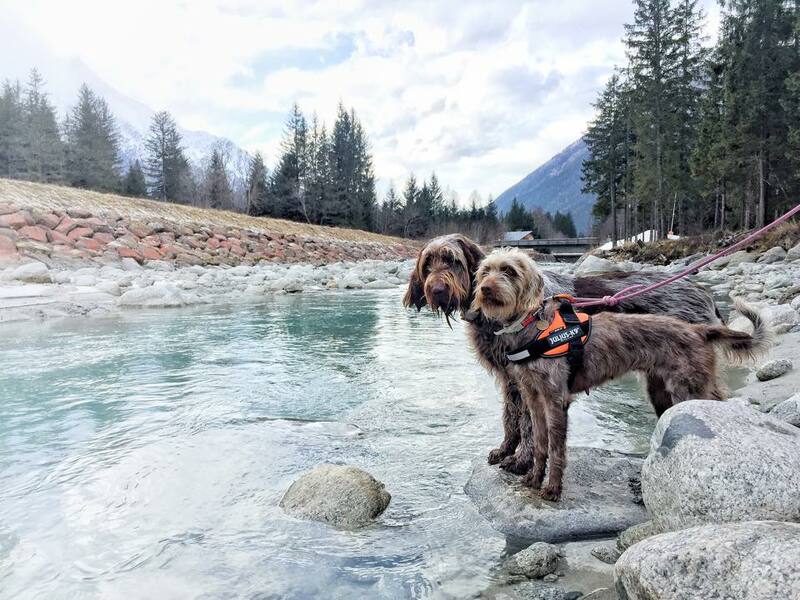 In many countries, including their homeland of Italy, Spinoni and other hunting breeds are difficult to rehome as people have an image of them as living outside and being only working dogs, unsuitable as house pets. However in the UK, the Netherlands and other countries, they are very much in demand. There are many more people in the UK wanting to rehome a Spinone than there are dogs available. Whilst in Italy, for instance, a Spinone can wait years in kennels for a new home. We match available dogs with suitable homes, provide support for the logistics (and part of the cost) of their transport, and provide backup for the lifetime of the dog. Other countries such as France, Spain and Cyprus have similar issues. For instance Adopt-a-Griffon rehomes Spanish Griffons and Un Toit de Nos Griffons works with LAARF in France. However there was no-one to specifically help Spinoni, who of course tend to be found more in Italy – hence the formation of this organisation. Do you help only Spinoni? The majority of the dogs that we help are Spinoni, but not all. Some dogs that we rehome are aristocrats from highly regarded bloodlines. Equally we have also worked with some spinone mixes, if we feel we have a good chance of helping them. Occasionally we have helped with bonded pairs where one is a different breed completely. All registered Spinoni in Italy are chipped and the database is public, so it is straightforward to check a dog’s pedigree. Lola (in front) is a Spinone mix who came from a very sad past to a happy new life in Scotland. Read Lola’s story. If they are registered, why can’t they be returned to the breeder for re-homing? Some breeders will do this, but they are relatively few. In general the culture is different. Spinoni are often seen not as life companions but as working dogs, and there are many breeders producing dogs only for working purposes, with no support for a failed hunting dog. Additionally, once a dog has been rescued, its ownership passes to the Italian rescue organisation. These organisations almost never re-home to hunters, and most breeders in Italy have hunting backgrounds, so that creates further difficulties. In the UK, the breed club has an active official rescue arm, but this is sadly not the case in Italy. We do work with some breeders in Italy who are sympathetic and we very much appreciate their support. However they are, unfortunately, a minority. What backup do you provide? We provide backup and support for all the dogs. We have an active community of experienced rescue owners to help provide support in case of any issues. In case of insoluble problems, we have a network of experienced foster homes. For perspective, in over 50 dogs re-homed, we have only had one dog who had to be moved due to incompatibility with the resident dog. We expect owners to insure their dogs for veterinary expenses but may be able to provide help in some cases, for instance when a dog has a pre-existing condition. All dogs are adopted under a contract stating that the dog must be returned to us for rehoming should the adopter be unable to continue to care for it, for any reason. We ask for a donation of £300 to £400. Each dog costs considerably more than this – blood tests for diseases, vaccinations for rabies, parvovirus, distemper etc, neutering, passport preparation, and transport – and we fundraise for the rest of the amount. So if you can afford to donate £400 it is a huge help to us, but the priority is the right home. I am interested in adopting, fostering or otherwise helping, what can I do?